Ever wondered how people blow perfect o rings? For demonstration purposes you can check our YouTube channel to find out. For more in detail description you can read along and find out how to blow perfect o rings. There are 2 crucial parts in blowing o rings. Two of these steps are the basis of the blowing smoke technique. We will go over these steps further down the line. For now let’s focus on why it is relevant topic. First, blowing o rings is such a cool party trick. You can always impress the crowd with perfect, fat smoke o rings. You ever seen a guy at the party that vapes his lungs out and gathers crowd around them? Well, you can be one of these guys. Except, we prefer hookah OVER HERE. Jokes aside, we love everything hookah related, and do not hate on people that vape. (REALLY WE DO NOT HATE THEM, DO NOT VAPE IN HOOKAH LOUNGE THO) It is easy to impress people nowadays and blowing smoke o rings is one way of doing so. Second, there is a stigma among experienced hookah enthusiasts that smoke tricks is one way to show the high level of mastery when it comes to hookah smoking etc. I have encountered couple people that were living me praises when they saw my smoke tricks. Well, hope it tells something. Now, lets get to the point and see what is the trick in blowing smoke o rings. There are couple ways of blowing o rings. 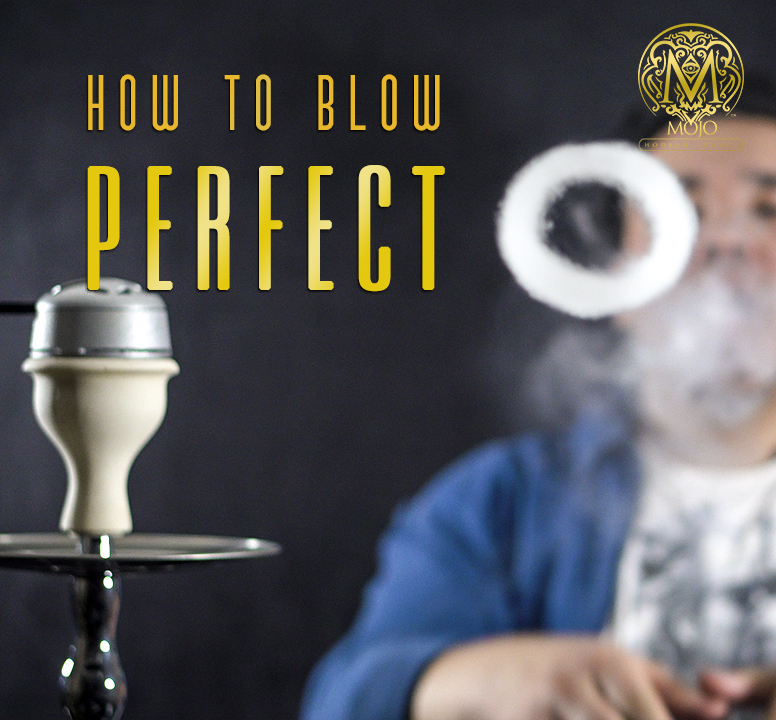 For perfect, dense smoke rings we use pushing-with-your-throat method. It may sound weird but it is the best way to describe what is happening with a person when they blow o rings. In order to blow perfect o rings you have to position your moth in a perfect round shape and d a silent coughing motion. When we say perfect o shape of the mouth, think of a shape of a ping pong ball in a mouth. Naturally if you hold your mouth the same way the o rings should form easily. Practice with a ping pong ball couple times and you should be able to find this perfect position. People cough and naturally they release air from their lungs. Try to cough couple times and dial it down about twice as silent. This should be the way you push out the smoke from the lungs. Pair these two aspects and practice, practice, practice. With little practice you should be able to see the results. Again for demonstration follow our YouTube channel and go through this steps with us. We believe in you!